Let’s take a look at the trending interior designs this season and take a peak of your most favorite one for the next season. Whether you search for a few objects to finish the furnishing or an entire new concept for interior design – seek and you shall find! The everything-oversized-design. There is no doubt that the biggest objects in the home are much more remarkable than the smallest ones. That’s why a great idea is to choose an oversized chandelier or an oversized lamp for the interior in the dining room. It will provide sufficient artificial light throughout the nights while in the daytime you can enjoy the sight of the giant lamp as a usual piece of furniture in the room. Yet you can come across a few difficulties with the giant lamp during the home cleaning. Wiping of dust may become quite challenging, especially if the lamp is handling from the ceiling on only a few strings. Get yourself an electrostatically charged head for the duster and you can easily overcome the challenges. The sight of the giant lamp is definitely worth it. Play with other oversized objects everywhere in the house – from super large carpets that continue onto the base of the walls like paintings, to chairs and sofas that are much larger than the dining table, for example. Minimalist and chic design. It is always trendy and it can alter the comfort of your home even without the need from numerous furnishings and objects. On the contrary, the fewer the objects, the greater the minimalist effect. 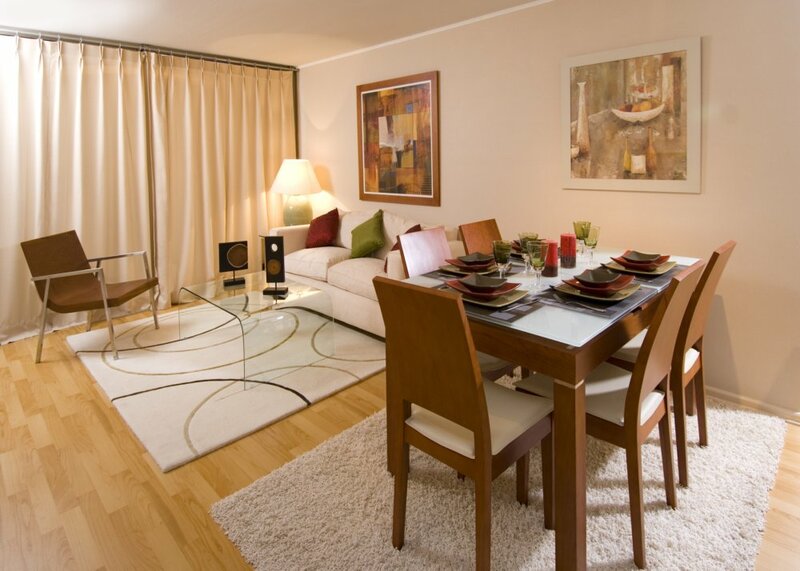 Make also sure to decorate only a few areas and corners of the rooms with numerous small objects. This will add a few contrast to the overall layout with only a few objects, but the difference in the sizes will become eye-catching. From small candlesticks in the middle of the table, through small bronze figures, wooden or glass details, to dozens of miniature paintings hanging on a wall. The cleanliness of the minimalist design itself plays the greatest role when it`s time for deep and throughout house cleaning. You can use only the vacuuming machine and clean towels to get rid of the loose dirt and sand, while the polishing and the wiping of dust will be much quicker when there are only a few objects and furnishings in the rooms. Colorful design with textiles. 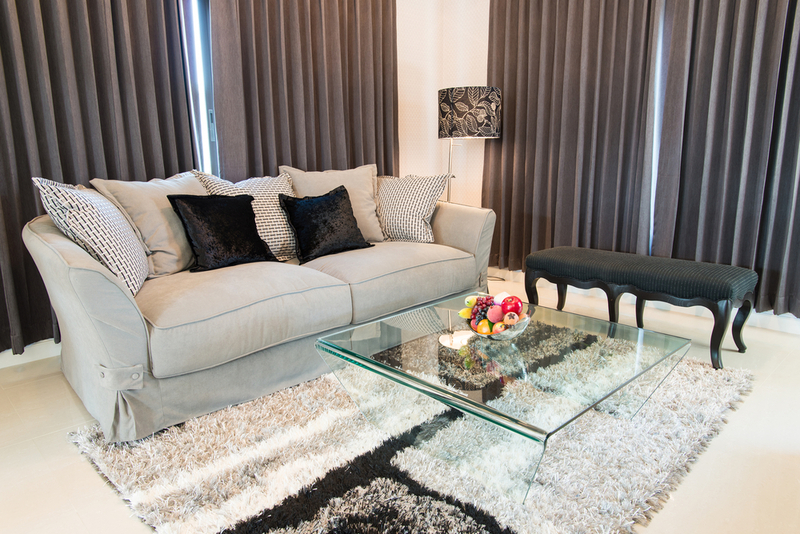 Decorate your house with a multitude of textile and upholstered furnishings. Sometimes, even a carefully chosen carpet with natural fibers can do the desired effect. Just make sure to choose contrasting objects with bright colors. This candy atmosphere is good for kids and adults alike, while the variety of textile objects to play with ranges from pink blankets for the beds to green decorative cushions for the sofa and soft blue chairs that can easily turn into beds. The textile surfaces provide coziness and warmth in the wintertime, although for deep cleaning of carpets and rugs with long fibers, you should call the professional carpet cleaners at least once a year. The bonding artificial & natural design. Undoubtedly, the natural texture of the wood furniture is one of the most preferred interior designs for the living room, the guest room and the bedrooms. Go on the next level by making your own homemade furnishings that combine wood and acrylic, for example, or wood and iron. A set of chairs with wooden legs and acrylic seats and backs will become a truly remarkable set of objects in the dining room. The same applies for an iron bench in the garden, topped by a thick piece of true natural wood.